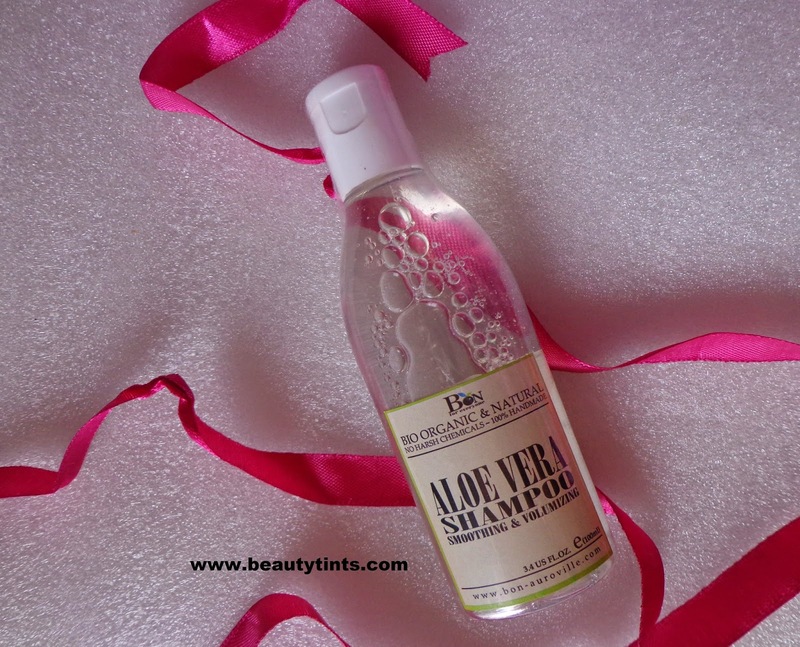 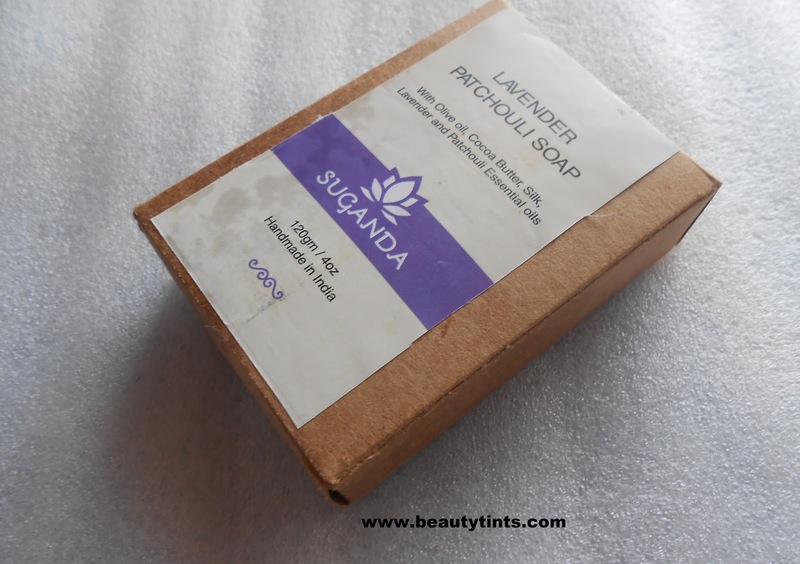 Sriz Beauty Blog: Suganda Lavender Patchouli Soap Review!!! Packaging :It comes in a simple environmental friendly card board packaging with a label having all the information about the soap. 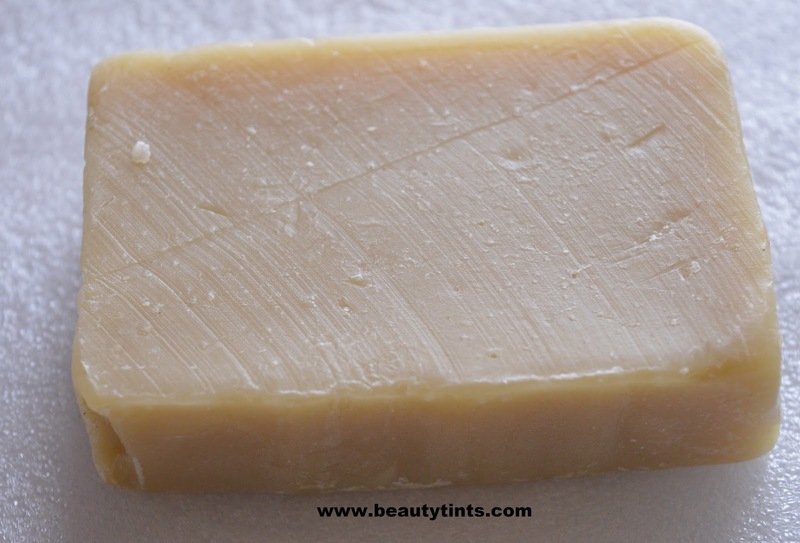 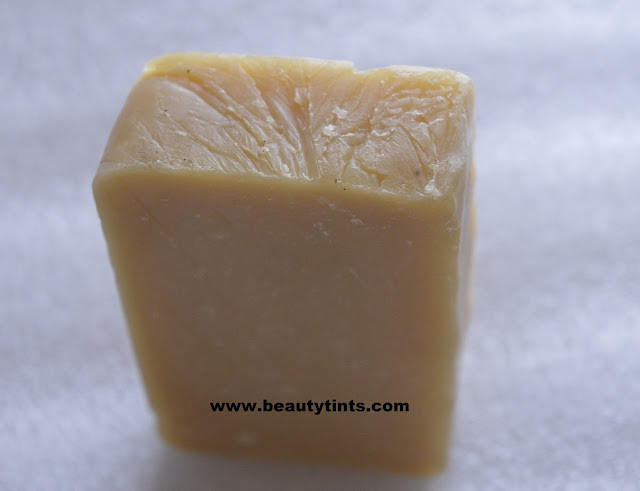 Color and Texture : This is a cream colored rectangular soap with a textured surface. 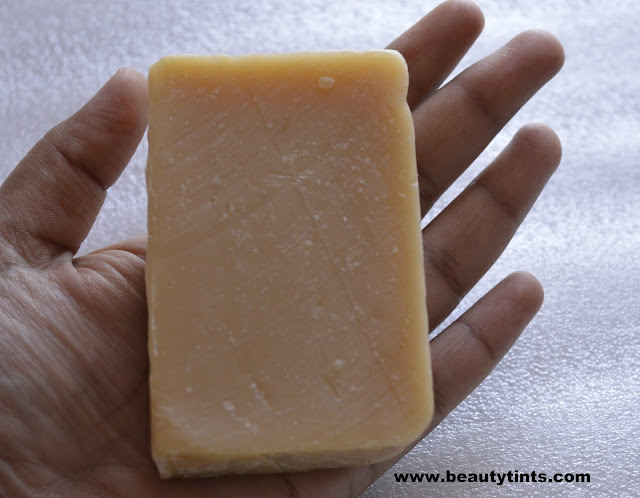 Handmade cold pressed soap made with finest quality natural Ingredients-Pure Essential Oils,Herbs and virgin Vegetable Oils and butters. 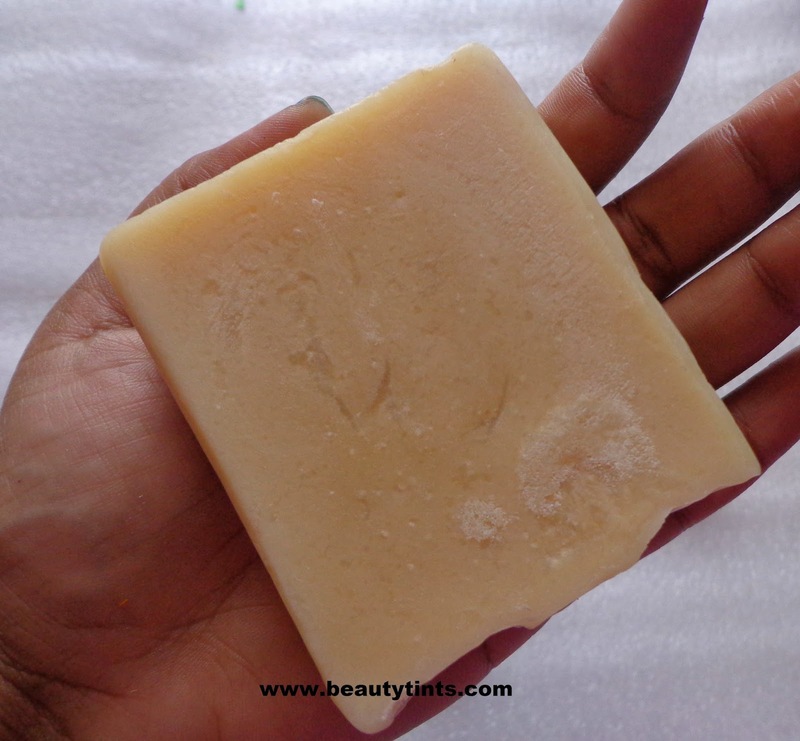 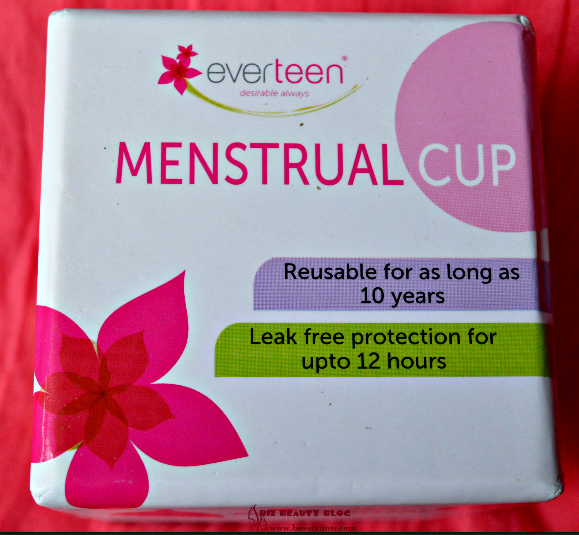 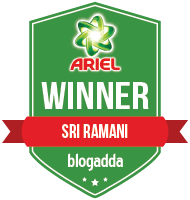 Ingredients : Saponified Extra Virgin Olive Oil,Saponified Coconut oil,Saponified Kokum Butter,Saponified Sun flower Oil,Glycerin,Lavender Essential Oil,Patchouli Essential Oil,Silk Protein. 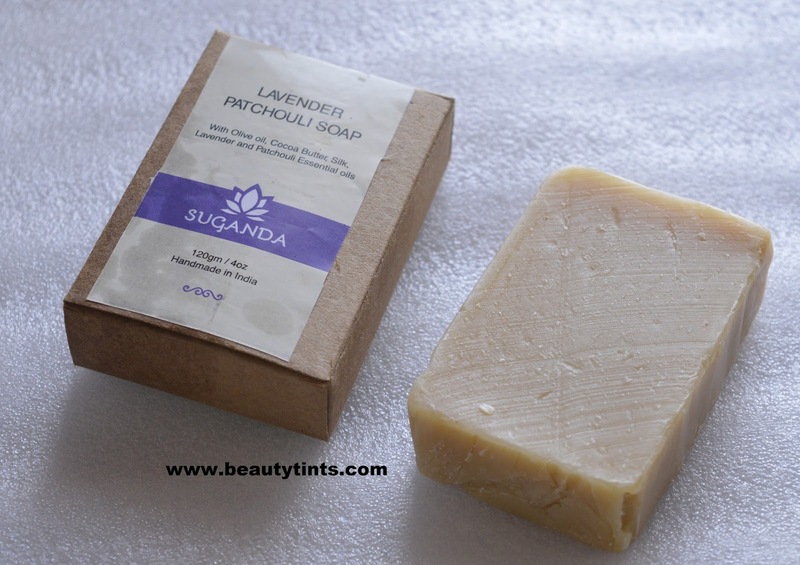 My View On the Product : This is my third product from Suganda,once I received a sample of their Tea Tree soap and full sized lip balm in My Envy Box.I was super impressed by them and from that day I am planning to try other products from the brand and recently I bought a few products from them at a discounted price and this is one of them. 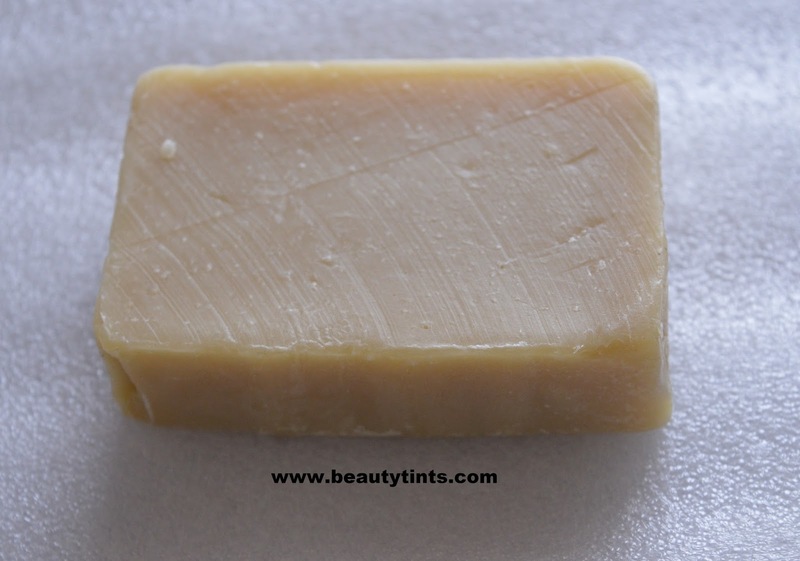 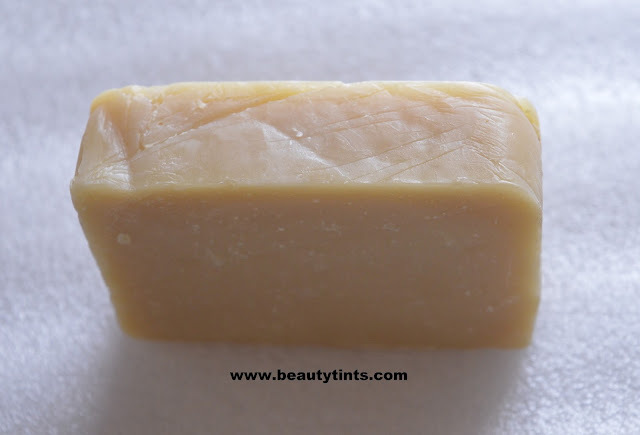 This soap is a cream colored rectangular shaped soap with a super soothing Lavender Fragrance.It lathers into a creamy foam and cleanses the skin thoroughly yet gently with out making it dry or rough. 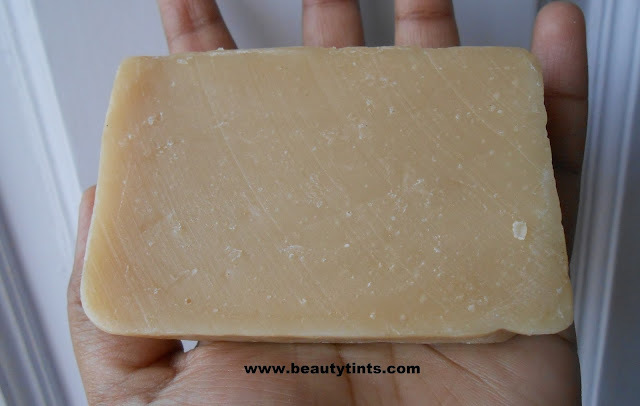 It hydrates the skin well due to the presence of multiple essential oils in it.It does out melt easily and we need to dry it properly.The soap retains its shape till the end.This soap is enriched with the goodness of many essentials oils like Lavender,Patchouli,Olive,coconut,sunflower Oil along with kokum butter.It also exfoliates the skin and effectively removes the dead cells off the skin easily.It is a big soap,you can cut this into two,so that it stays little longer.It is very gentle on the facial skin too.It nourishes the skin well and makes it smooth,supple and radiant.I was super impressed from first use itself.It is free from parabens,SLS,Petrolatum and other harmful chemicals.It is 100% natural hand made soap and is safe to use.It suits all skin types.The only con is the price,but I am not complaining as it contains rare herbs and is all worth for the price. 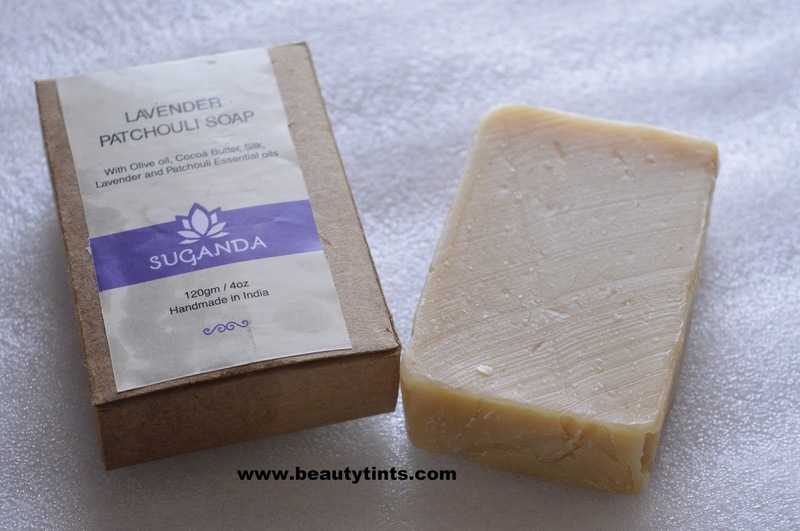 Final Conclusion about Suganda Lavender Patchouli Soap : Overall,a good hydrating soap with the goodness of soothing lavender and patchouli essential oils along with the kokum butter.It makes skin smooth and radiant.I highly recommend to every one,especially to those who have dry skin.